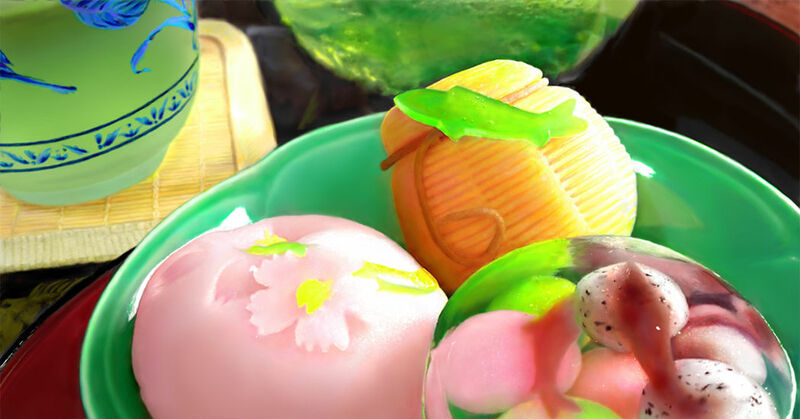 Today, June 16th, is Wagashi Day! Wagashi are traditional Japanese sweets. Do you know why we celebrate this day? During the Heian period, an epidemic spread throughout Japan and in order to pray for people's health and happiness, emperor Ninmyō offered 16 sweets before the altar on June 16th of the first year of the Kashō era. Since then, it became a tradition to eat wagashi on the 16th of June. Ask your Japanese friends and they will confirm! Today we collected some wagashi-themed illustrations. Aren't they pretty? Enjoy!